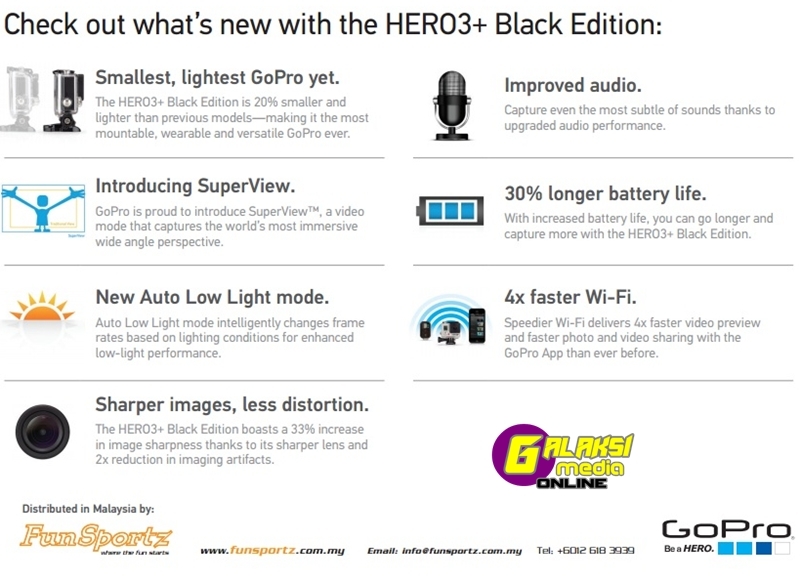 FUNSPORTZ SDN BHD announced the availability of GoPro’s new HERO3+ line of cameras in Malaysia featuring a 20% smaller and lighter design and 30% better battery life than previous models. These upgrades combine with an improved lens and convenient new video capture modes to produce the most advanced and easy-to-use GoPro, yet. 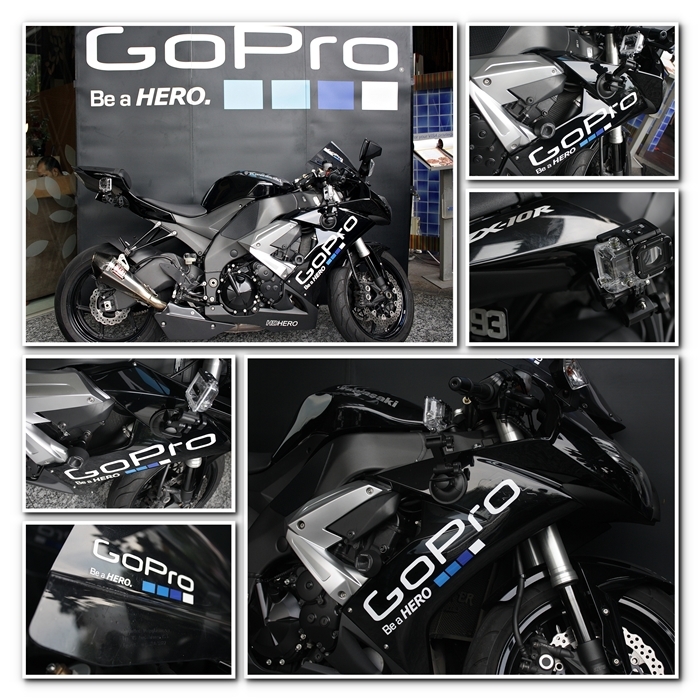 The hew HERO3+ line of cameras were launched worldwide by GoPro on October 1, 2013. In addition, Funsportz also announced several new mounting accessories that further enable immersive content capture during any activity. The HERO3+ line of cameras and accessories are now available at www.funsportz.com and at select retailers nationwide. Headstrap and QuickClip – The QuickClip is a new accessory that now comes bundled with GoPro’s Headstrap. The QuickClip enables ultra-compact, low-profile mounting to baseball hats, belts and other objects ranging in thickness from 3mm to 10mm. 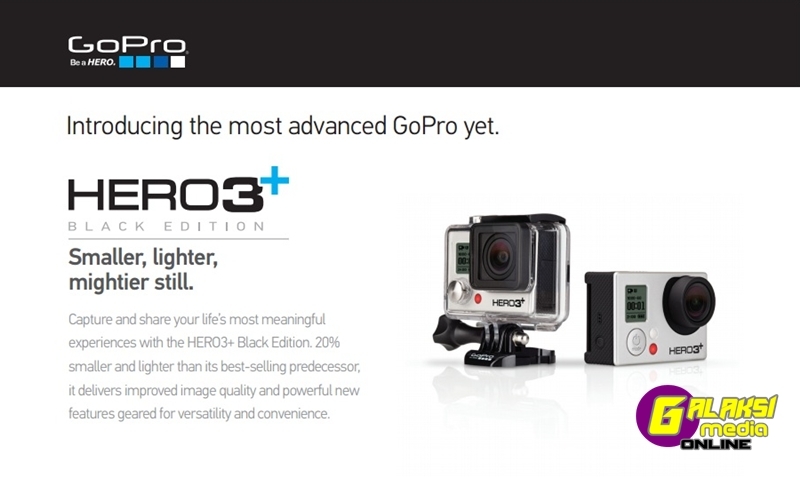 “Funsportz is happy to represent GoPro here in Malaysia and we are excited that the HERO3+ and new accessories are now available to Malaysians. Funsportz first brought this awesome camera into Malaysia back in 2009 and the brand has grown by leaps and bounds and is now the market leader in so far as video recording devices is concerned “, said Khoo Boo Hian, director of Funsportz Sdn Bhd.